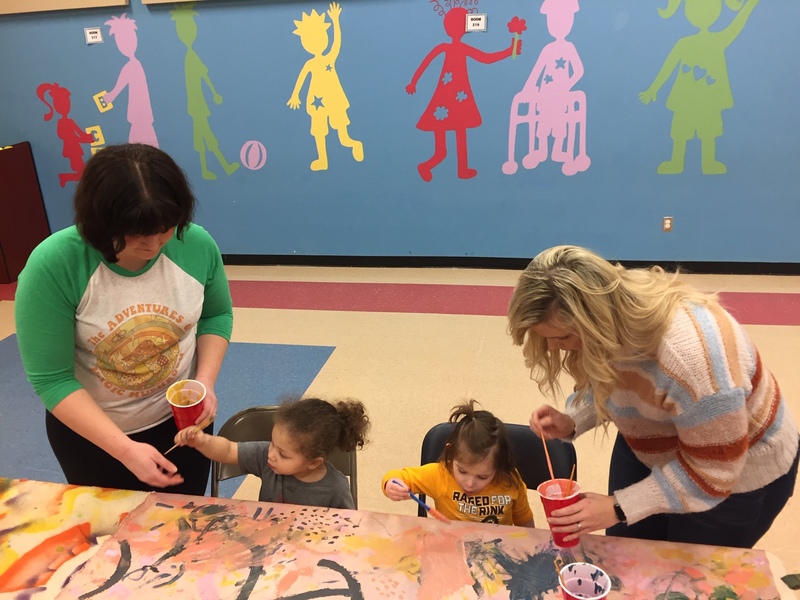 On Thursday, March 7th, four creative representatives from OC visited the Sunshine School and Development Center to work with the toddler classes on art projects. These pieces will be auctioned off at the upcoming Sunshine Gala on April 6th. Did you know Outdoor Cap supports a global workforce? 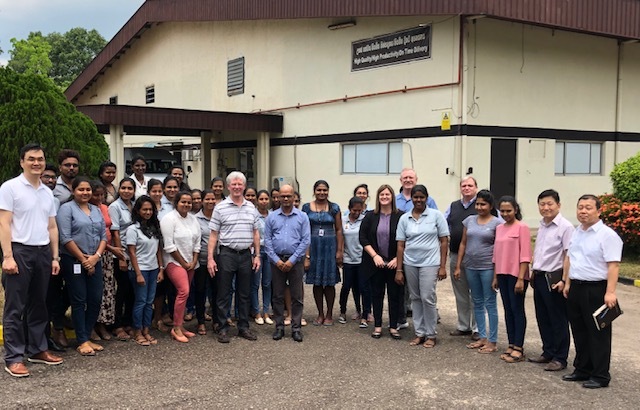 Our leadership team spend the first weeks of March touring some of our partner’s factories in Sri Lanka and Vietnam. We also have presence in Bangladesh, China, and of course the U.S.
Each quarter, OC employees vote on top cap designs. For Q1, we chose an Academy cap designed and developed by Sara Wages and Eldon Cowgur. With locations in Arkansas, California, and Texas, we currently employ 425 people, but that number is always changing. Check out all of our employment updates for the month including new hires and open positions. 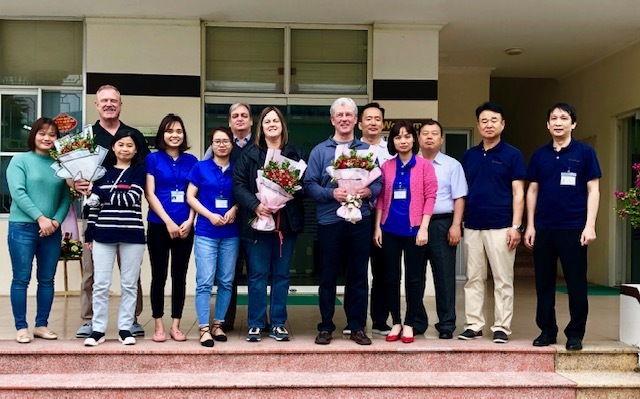 We’re always working to help our team members grow in their current positions as well as advance to new roles and take on additional responsibilities. We’re proud to say four employees received promotions in March. Kevin has accepted the position of Office Administrator Supervisor in our Custom department. Bethany has transitioned to the role of Receptionist/Administrative Assistant on the Human Resources team. Luis has not taken on the job of Production Coordinator in Embroidery. Tyler has promoted to the position of Support Coordinator. Outdoor Cap is constantly growing, and our team members very quickly become our family. Check out our newest additions for the month of March. Aubree has taken on the job of Sample Specialist on our Product Development team. Jake has joined the JUNK team as a Cutter. Crystal has accepted the position of Domestic Product Specialist in the Custom department. Clifton has replaced Brad Regan as our Sales Manager for the Stadium Collection Retail Division after Brad’s promotion. Jason has joined our Embroidery team as a Machine Operator. Lexie has accepted the position of Domestic Product Specialist in the Custom department. Josiah has joined the JUNK team as a Cutter. Stevie has joined the JUNK team working on Hangtag/Barcodes. Teresa has joined the JUNK team as a Cutter. Kelby has joined the JUNK team as a Sewer. Tyler has joined our Embroidery team as a Machine Operator. Brint has taken on the job of Sample Specialist on our Product Development team. Jeremy joins the Warehouse as a Material Handler. As of today (March 26, 2019), we’re currently working to fill the position listed below; please see our career page for more information.